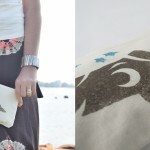 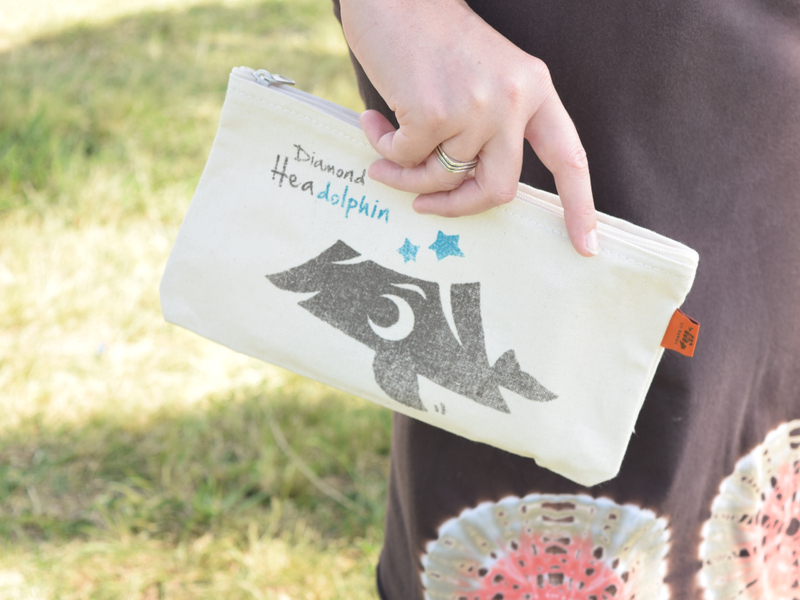 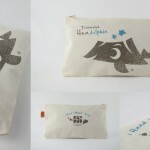 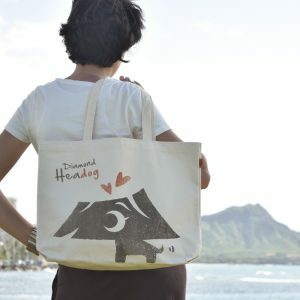 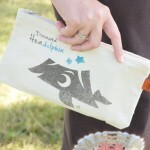 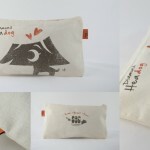 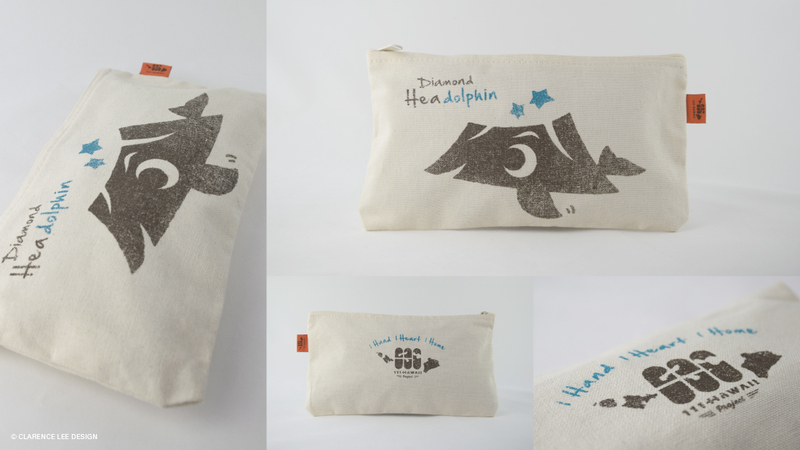 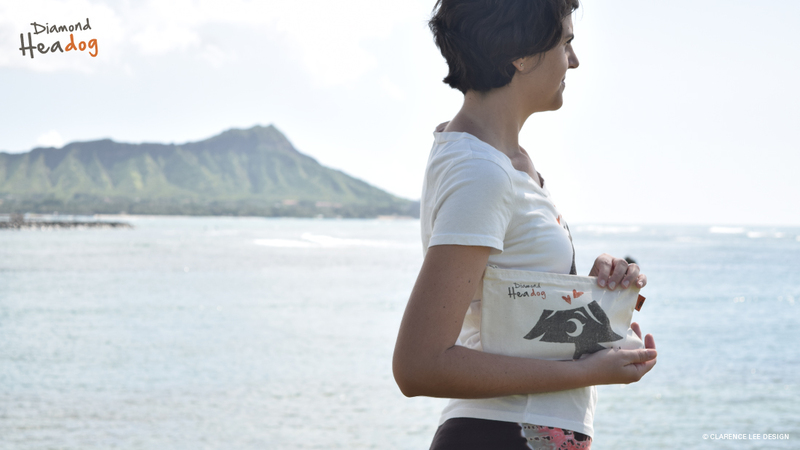 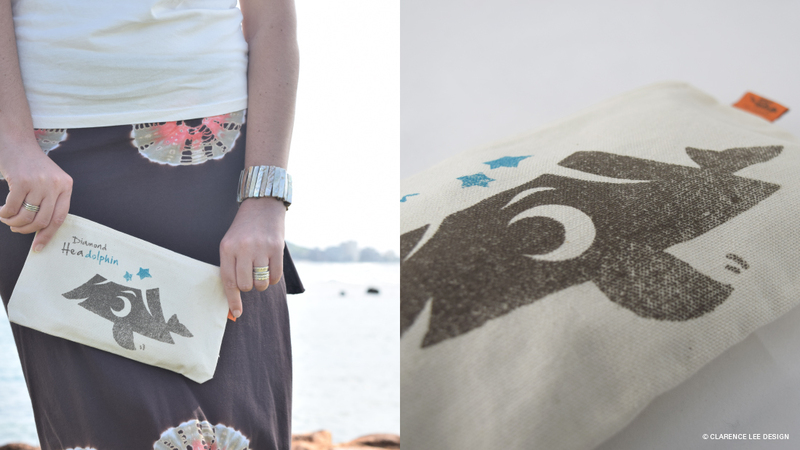 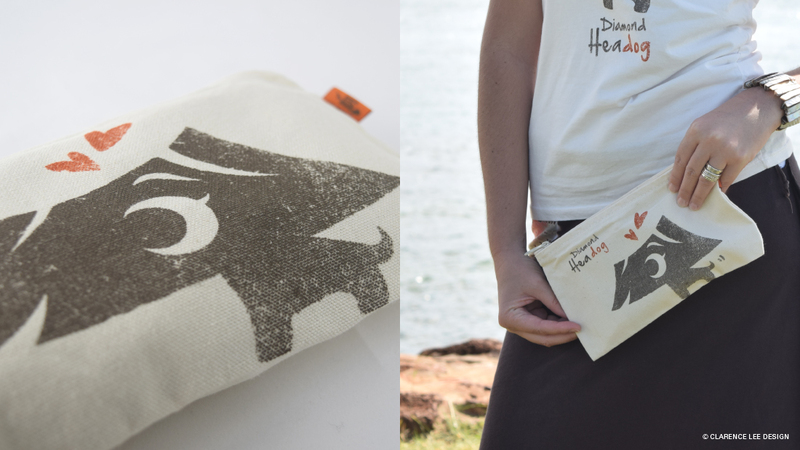 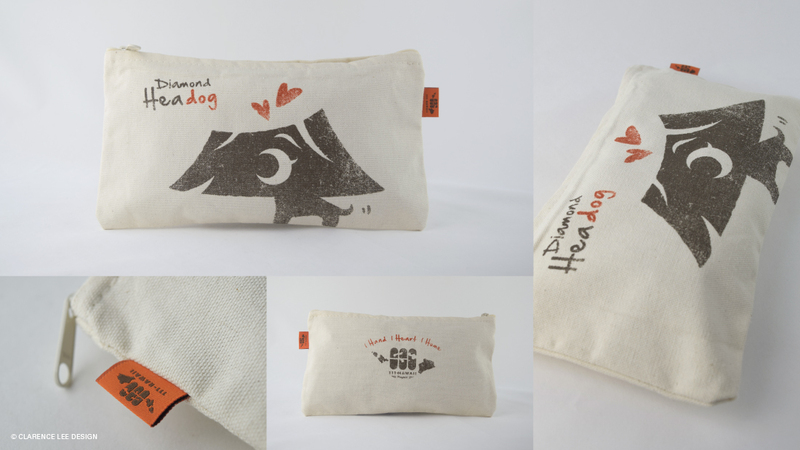 Pouch hand printed in Hawaii with our characters “Diamond Headog/Headolphin” finished in a vintage taste. 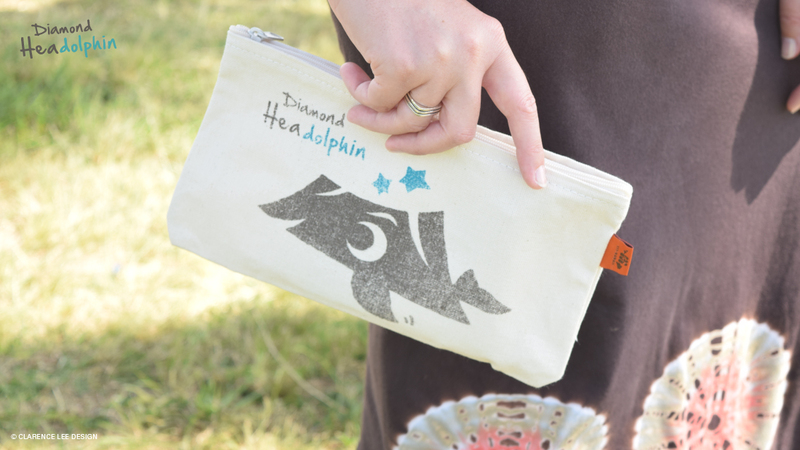 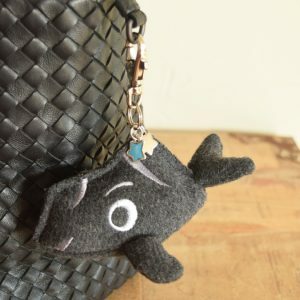 Put your makeups and pens in it and carry it with your matching tote bag. 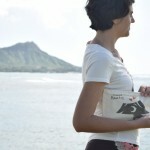 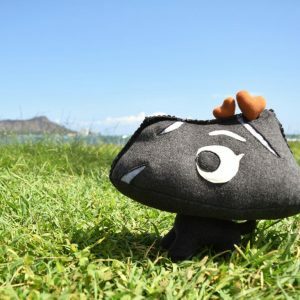 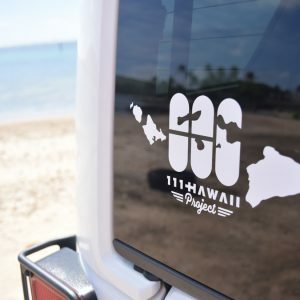 Great gift for ladies who love Hawaii!